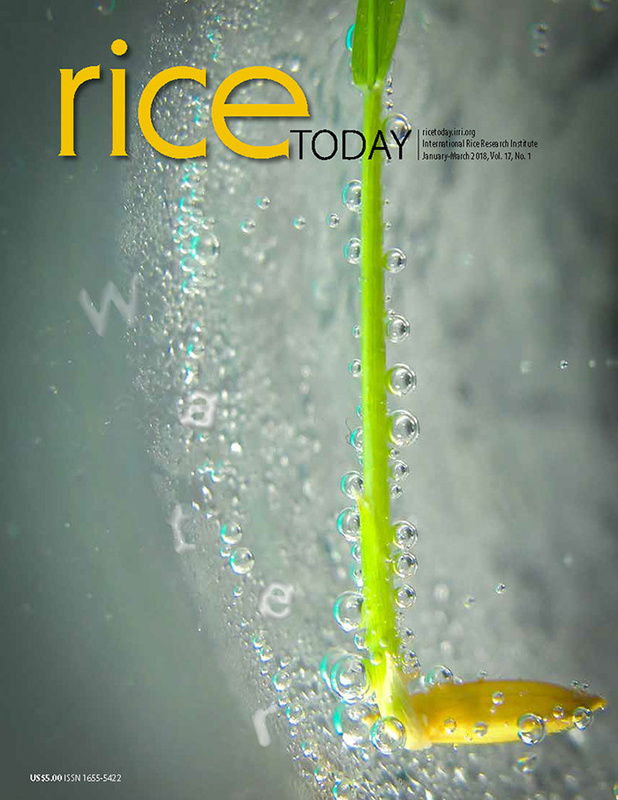 The 24th issue of RIPPLE features how an integrated, cross-discipline partnership, such as the Closing Rice Yield Gaps in Asia with Reduced Environmental Footprint (CORIGAP) Project, is essential in ensuring regional food security while promoting environmentally sustainable rice production. CORIGAP builds on the local country partnerships and technologies developed by the Irrigated Rice Research Consortium over the past 2 decades. The cover story introduces CORIGAP’s activities, events, and their next steps in Myanmar, Thailand, Vietnam, and the Philippines. The magazine also features CORIGAP scientists Dr. Sarah Beebout, an IRRI soil chemist, Dr. Takahiro Sato, a postdoctoral fellow working on the development of a field calculator, and an invite from project coordinator Grant Singleton to all interested parties who would like to be part of the project’s exciting journey.